The Valencian Agency for Security and Response to Emergencies and the Polytechnic University of Valencia are pleased to organize the "Technological solutions for emergencies" conference #tecnoemergencies2018. 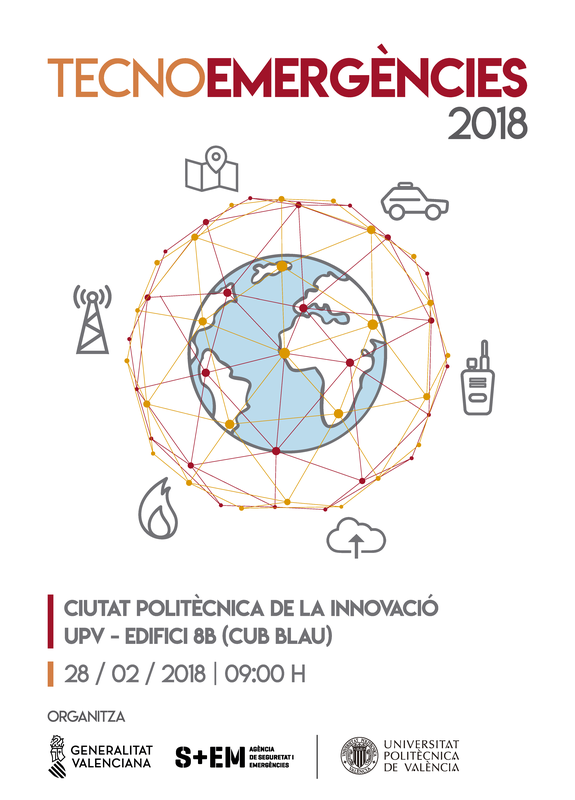 The day will meet next February 28 to professionals in the sector, along with companies and universities, in order to show and discuss the new needs and demands in the field of response to emergencies and how they are and can be addressed through of technological solutions in its many different areas. SAURON project was presented as successful use case during the event with an audience of more than 250 security profesional staff.